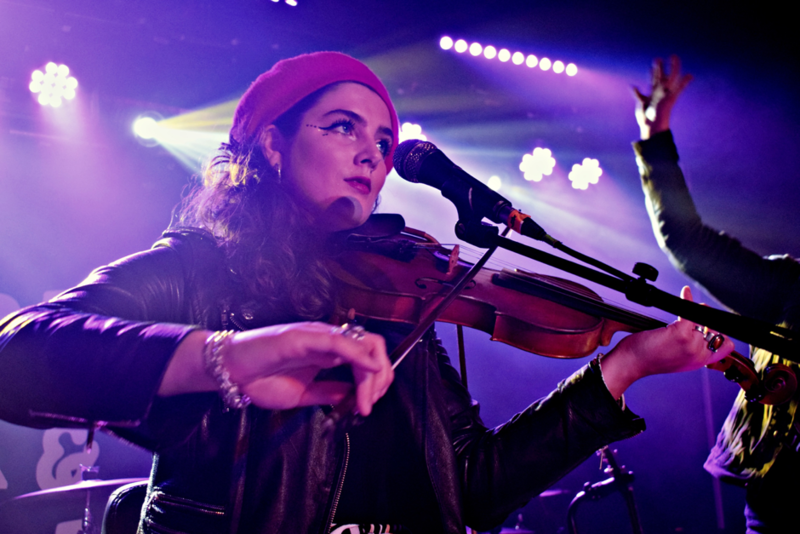 On the 22nd November 2018, Holy Moly and the Crackers returned to Nottingham for a night of alt-folk and dancing. 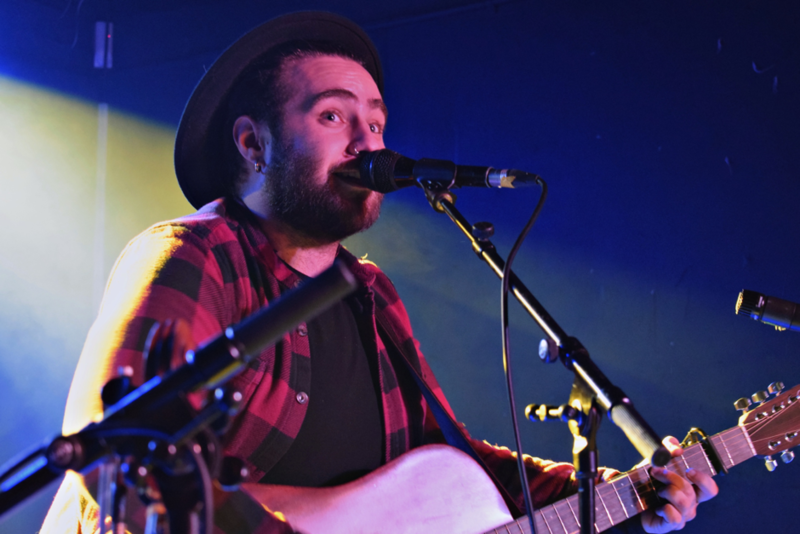 Mid-tour supporting The Leylines, local singer-songwriter Brad Dear opened the show. No stranger to The Bodega, he performed a mix of past releases and new songs to an attentive audience. Stories of his life in the form of modern folk songs were an instant success amongst the crowd. All songs were a reflection of how he sees the world and what he’s taken from his experiences, including of being a musician and about the people he’s met on the way. By the end of the set, the room was packed out ready for Holy Moly and the Crackers. 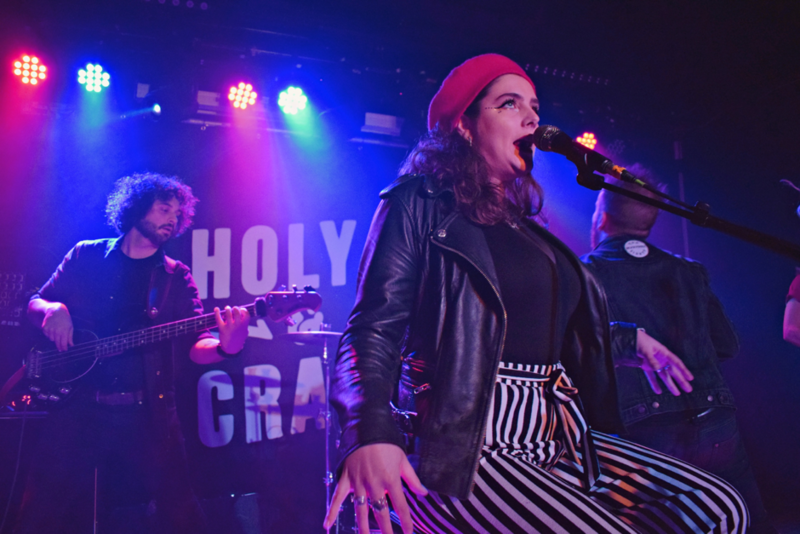 Coming to the end of their UK tour, Holy Moly and the Crackers, a folk-rock band from Newcastle, are also no strangers to Nottingham. 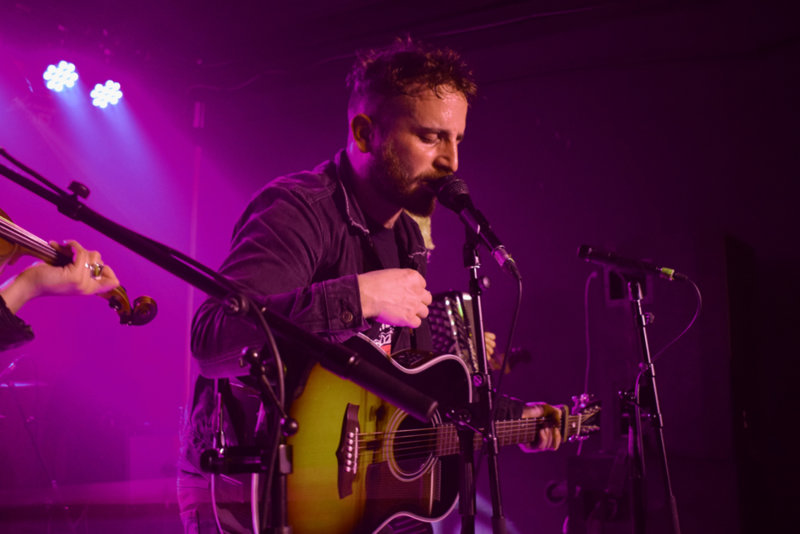 In just a few years, having recorded an album, travelled thousands of miles and developed a dedicated audience as well as receiving high reviews from Frank Turner and Clash Magazine, this was sure to be an entertaining night. Opening with their song Sugar, this set the tone for the rest of the night. With several invitations to the audience to join in and clap along, the audience was engaged and enthusiastic, though I’m not sure Nottingham really needed those invitations. A set featuring both classics and unreleased songs resulted in the audience being equally attentive to both which is rarely the case. Fitting a 6-piece band with 7 different instruments on the relatively small stage was an impressive feat in itself! It was clear that all members of the band were not only highly skilled at their instrument but also passionate, and the energy of the audience was matched by the band. The night finished with a highly requested encore of two songs. The first was a duet of Ain’t It Enough between Ruth Patterson and Conrad Bird. Though the quietest song of the night which contrasted with the upbeat and loud nature of the other songs, it captured everyone’s attention. To summarise with a cliché, you could have heard a pin drop in the quietest sections. Self-described as having the ‘craziest party in town’, it was hard to disagree as the set came to an end with Mary. A song with a standard folk song trope, paired with the Celtic melodies and modern folk style of the band, as well as a chorus that the audience could join in with was the perfect ending to the night.